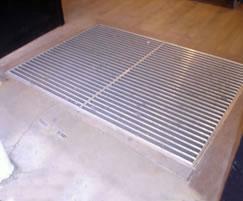 Pit and floor doors provide access to equipment stored underground or below/between building floors. Products include drainage doors, non-drainage doors, doors that receive flooring materials, doors for interior applications, fire rated doors, and special application doors. The TER floor door benefits from a 25mm rebate in the cover to accept an architectural floor finish. The counterbalancing spring mechanism means that stone infill can be applied and the cover operated within the Manual Handling Regulations. 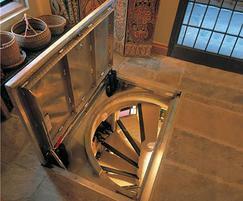 Typically used for access to wine cellars, swimming pool surrounds and pavement areas.